Photo courtesy of Engineering News-Record. Arthur J. Fox Jr., editor-in-chief emeritus of Engineering News-Record (ENR), died May 11 at his Rockville, Maryland, home. He was 92. The cause was pancreatic cancer, ENR said in its memorial tribute. Fox joined the construction trade journal in 1948, just before start of the Interstate Highway System. A civil engineering graduate from Manhattan College in New York City, he rose to become president of the American Society of Civil Engineers in 1975-76. He retired from ENR in 1988. 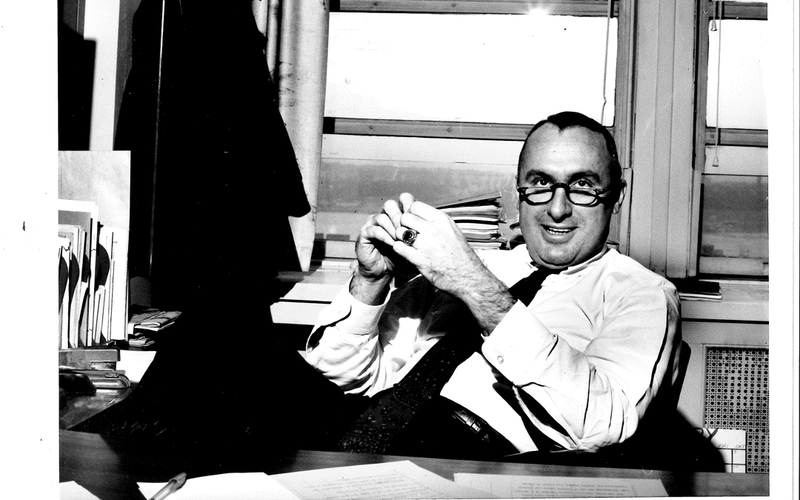 In 2004, the ARTBA Foundation named Fox one of “America’s Top 100 Private Sector Transportation Design & Construction Professionals of the 20th Century” in recognition of his leadership and contributions to construction industry journalism. A memorial service is scheduled for May 18 at Our Lady of Mercy Catholic Church in Potomac, Maryland. In lieu of flowers, contributions in his memory may be made to the Arthur J. Fox Jr. Scholarship at Manhattan College, Manhattan College, Office of Planned Giving, 4513 Manhattan College Parkway, Riverdale, N.Y., 10471.